Not only has napping been shown to serve as a mood and energy enhancer, but new research demonstrates that it can also lower blood pressure. Given roughly half of American adults have high blood pressure, this simple, costless method to improve it could serve as a groundbreaking finding for many. A recent study presented at the American College of Cardiology found that “midday sleep appears to lower blood pressure levels at the same magnitude as other lifestyle changes.” For every extra hour squeezed in midday, a person’s blood sugar levels have been shown to decrease by 3 mm Hg. The average systolic blood pressure for nappers versus non-napper was 5.3 mm Hg lower, suggesting that a simple day-time snooze could be just as effective as medication, exercise, less salt and alcohol. There are countless other reasons to nap, including its ability to reduce brain fog, stress and irritability and prevent weight gain. According to Psychology Today, a short nap can increase the brain’s right hemisphere, the side associated with creativity and insight, as well as enhance communication between the left hemisphere, the analytical brain, and the right. 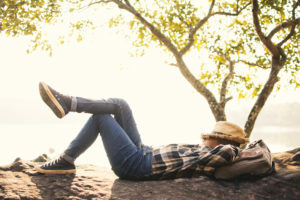 With more time to restore, naps can provide an energy boost for enhanced physical performance, as well as sharpen memory, concentration and accuracy. “We obviously don’t want to encourage people to sleep for hours on end during the day, but on the other hand, they shouldn’t feel guilty if they can take a short nap, given the potential health benefits,” said Kallistratos.